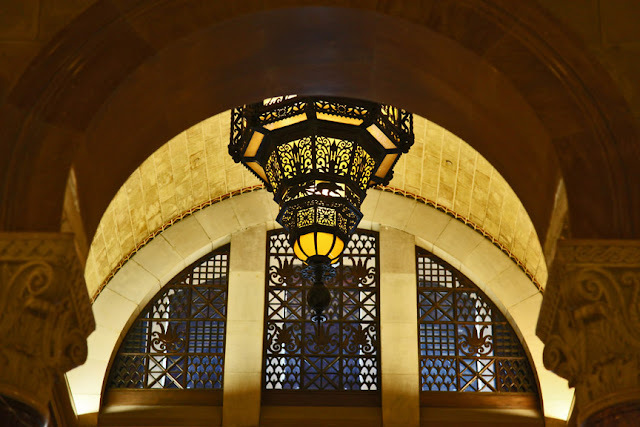 I took a break from covering the LA City budget meeting inside the Council Chambers, and took a quick walk around the rotunda area of the great hall. What a fantastic building to explore. 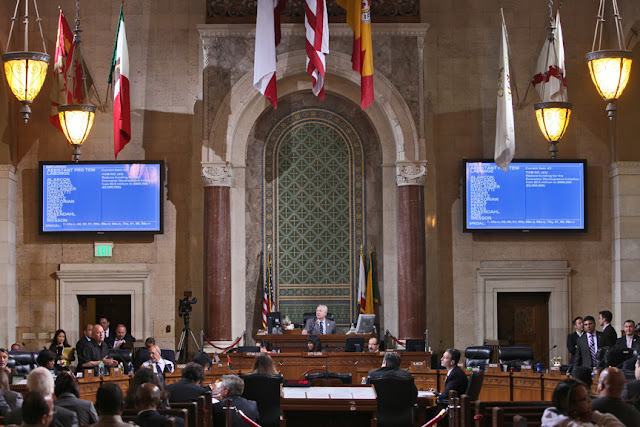 Watching the paint dry inside Council Chambers. 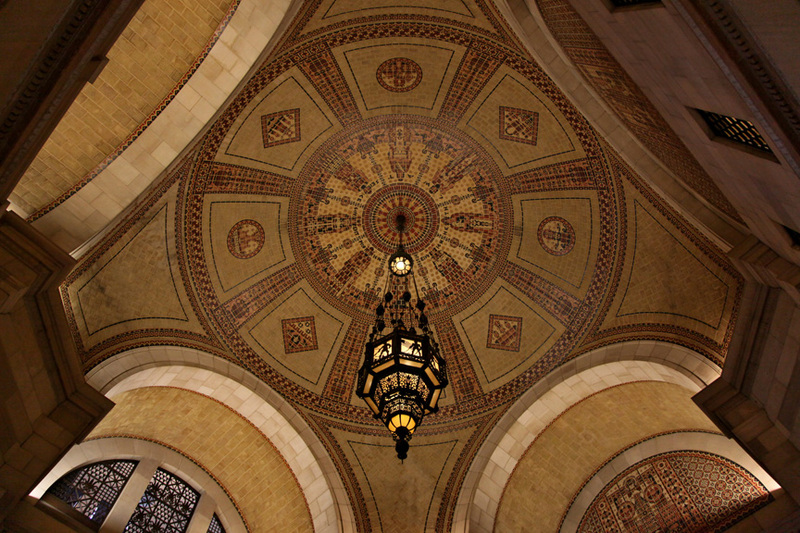 The ceiling of the rotunda and 17 foot tall electrolier. 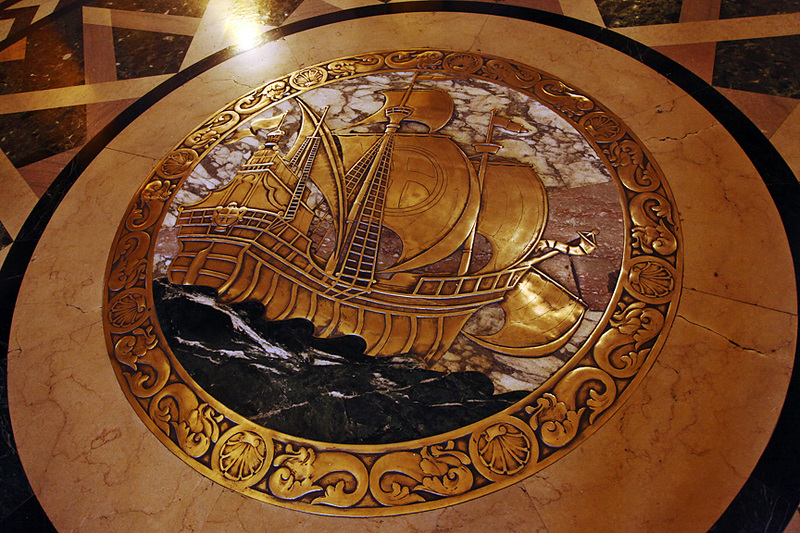 A bronze and marble depiction of Cabrillo's ship on the rotunda floor. The rotunda with the electrolier. 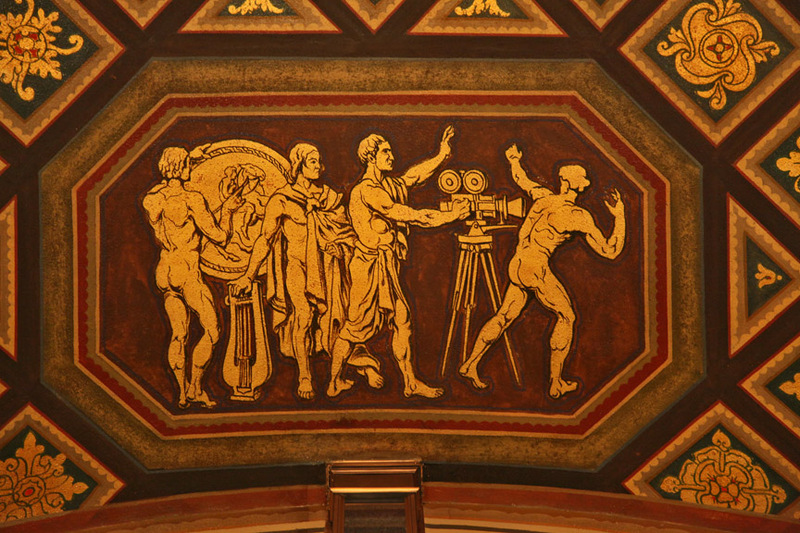 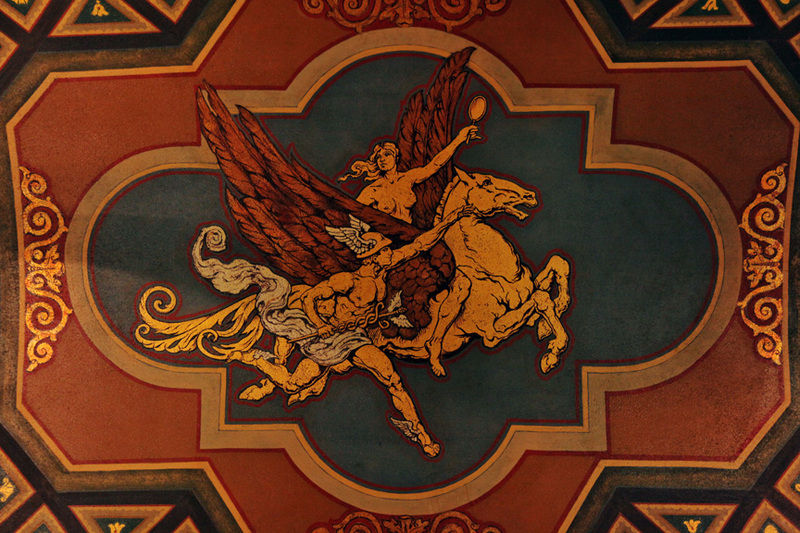 An ode to the arts of L.A. on the ceiling. Twilight Zone Eclipse in L.A.